From the blackboard wall to the wooden bar and accents, Three Boars Eatery has a modern, rustic feel that’s hip and trendy. A look at the clientele will only affirm that notion, as this is a spot where young trendsetters and followers are very much at home. The space itself is not unlike visiting someone’s home for a dinner party. There’s a small kitchen, partially open to the bar on the main floor, and a slim stairwell constantly bustling with patrons and staff moving from the main floor to the two master bedroom-size rooms upstairs. The category of Best Small Plates hasn’t been around long in Avenue‘s Best Restaurants listing, but Tzin is a proven contender, usually appearing near the top of this list and also as an honourable mention in the Best Mediterranean category in 2014. There’s good reason for that, though, as the food at Tzin speaks for itself. Big bold flavours are everywhere, like bacon with maple balsamic apple compote, grilled chorizo sausage, spice-rubbed Alberta beef striploin and a classic Spanish paella. The best way to experience all the Italian culinary delights that Bar Bricco has to offer is to go as a group. Start by poring over the wine list, a compilation of some of the best Italy has to offer, and order a bottle to share. Then, take the opportunity to try a little bit of everything by ordering both the salumi and formaggi tasting plates, along with a condimenti or two. 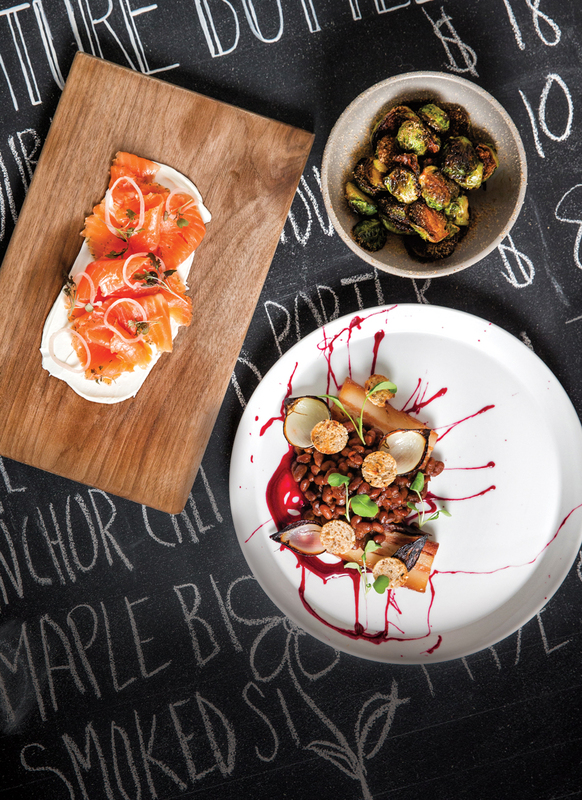 Want to stay up to date on everything going on in the Edmonton food scene? Subscribe to our Food + Drink newsletter to get exciting content delivered to your inbox every Tuesday. Subscribers are automatically entered into a monthly draw for great prizes – so, every now and then, dinner’s on us.